You might feel think that I have been off the blog for a while well I have .Don´t know why just didn’t feel like it . This month we have started a exciting project doing a sculpted garden. Now you might think well that´s not exciting ..well it is. Snagging ,crossing T´s and dotting the I´s….. it is called many different things . My company finished this lovely project this spring . 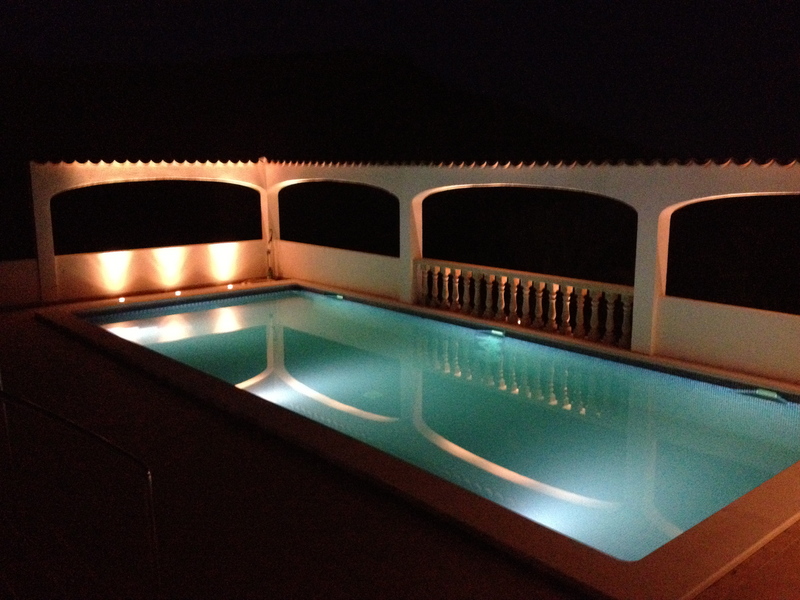 Everything was finished to the last detail, painting, tiling the the pool and the small mosaic of the sea horse. The last thing we actually could to do was the lighting . It was designed by myself with help from my ever trusting electrician Juan Martinez Franco . 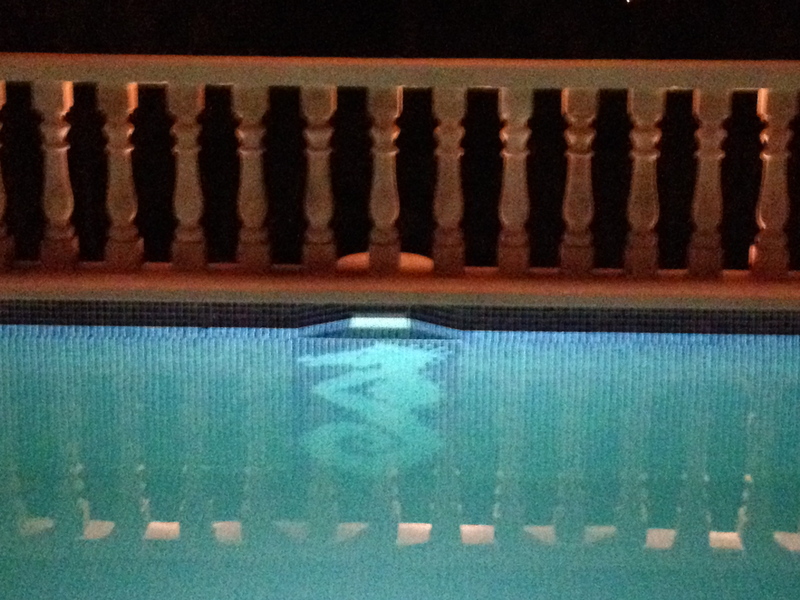 Around the pool the arches were lit with floor lamps (all 12volt for safety purposes) and the interior pool bulbs which are LED again using 12 volt power. I know for a fact a lot of people get half finished jobs from their builders ,plumbers or electricians . Sometimes due …in fact nearly always to do with money or not turning up . Many professionals including myself, pride our companies at doing exactly that, finishing a job, and well, down to the last screw, the last drop of paint and the last bit of filler to cover a small imperfection . So when I walk out from a finished job, money or cheque in hand………………………………….. All is good in the world . 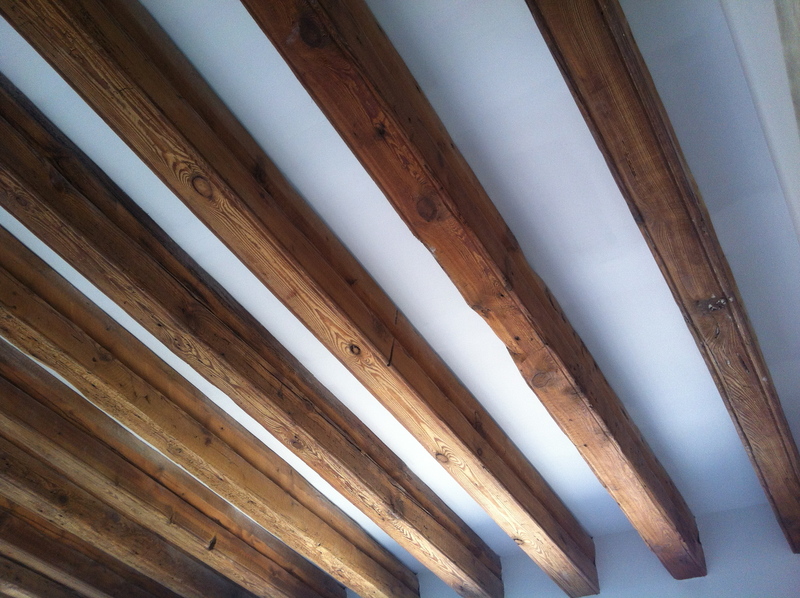 Well this happened just the other day , a client wanted a wooden floor to divide levels in his apartment , the floor was made from a top quality pine (Pino Norte) and installed in the guys house in six days . Electrical installations included . Things that a builder likes to hear from his clients. 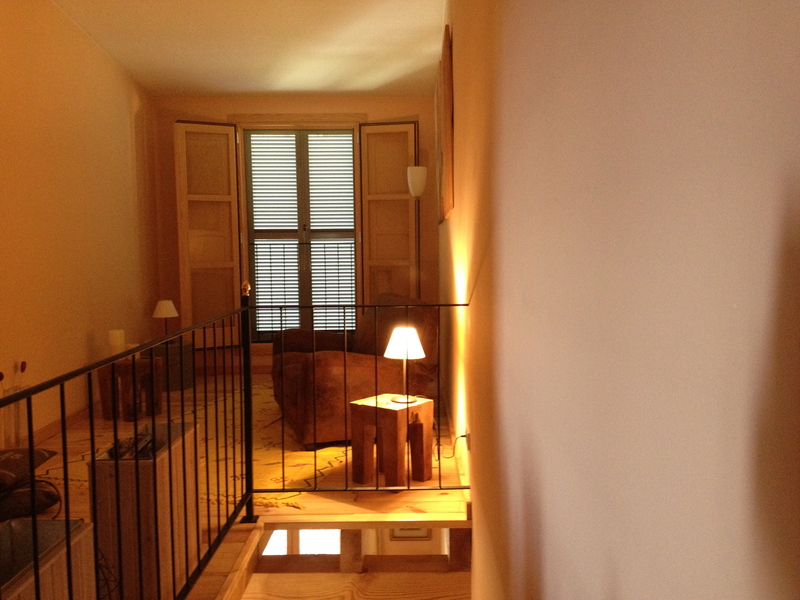 I think the apart/ house as come into its own ,and of course they have gained 20m2 for their house for an office / lounce . And if you don´t know what a lounce area is , don´t look it up because it does not exist just feel it . Actually in the urban dictionary it can mean make gurgling sounds , so perhaps Lounce should also mean room where you make gurgling sounds ………. Hi you feisty followers , this week more arches . 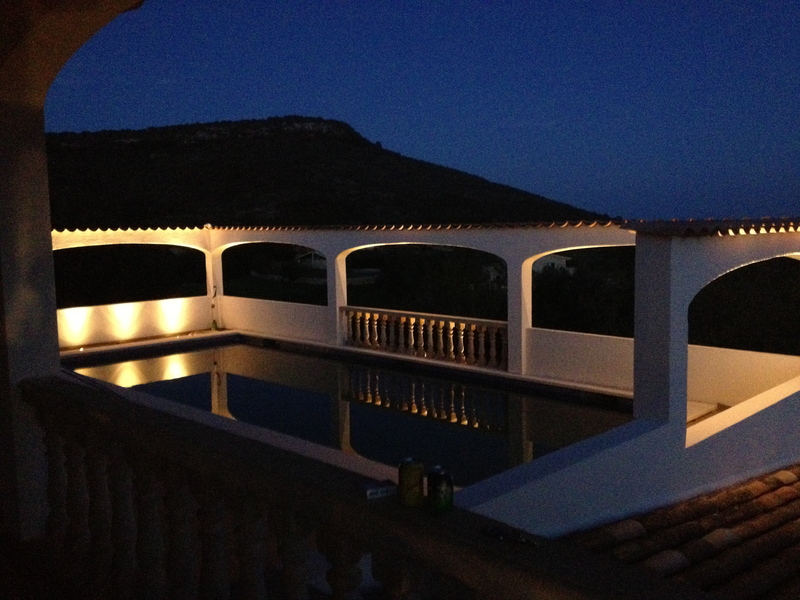 The building site is set on the south coast of the island of Mallorca over looking the sea . The clients wanted the view to be almost framed with architectural items but the columns and arches had to block the ugly bits of the view . With a great deal of thought, the placement and height considerations were knocked out . How was the design was going to work at night as well as in the day ? 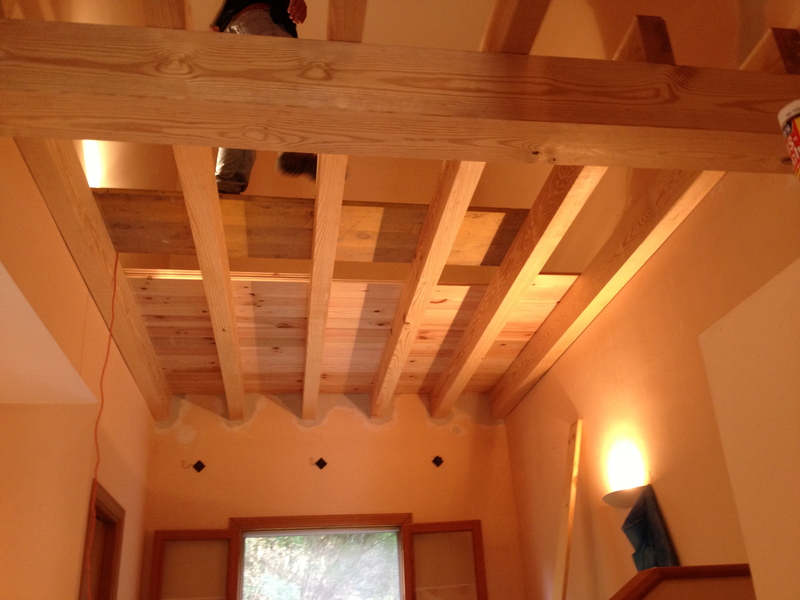 Lighting ideas were drawn up and tested before installation …just in case it didn´t work …….it did . We are always adhering to the building codes and laws of the area , concrete is not always a good design feature …but with good ideas ,thought and patience …the elephant always can jump through a hoop . Sandstone here on Mallorca and a lot of countries and islands on the outskirts the Mediterranean sea, has been used to create some wonderful architectural features. When concrete was not around nor steel, arches were made to hold up churches and wine cellar roofs . Even small lintels around windows and doors, sandstone was used to great effect. We do the same here at AWC (Anthony walton Construcciones), a lot of our new builds and renovations use sandstone in their structural make up . 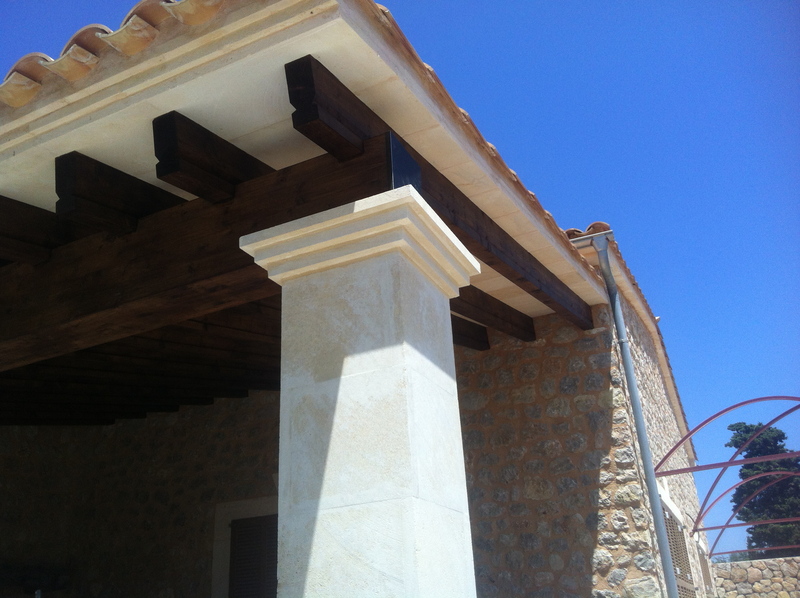 We also use sandstone as decoration and to recreate an old or rustic look on a facade, ceilings or columns.